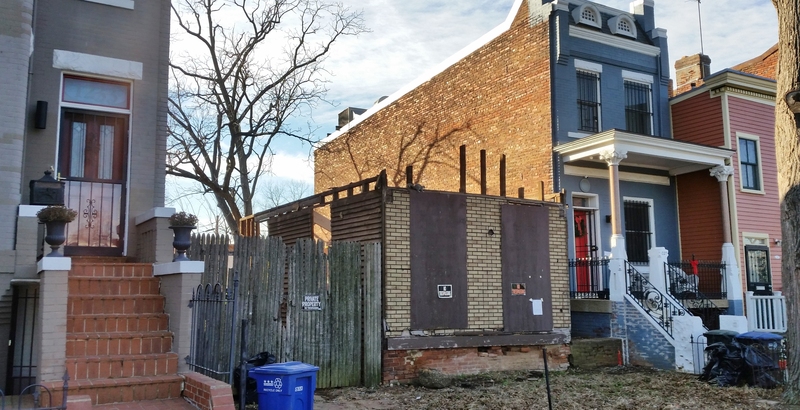 Preservation of the historic “Shotgun House” at 1229 E Street, SE, was the issue that stood in the way of the development – not only of the site itself – but also of the lots in the 1200 block of Pennsylvania Avenue which it backed up to. The entire package was owned by Capitol Hill investor Larry Quillian, who jousted with preservationists for years over his desire to demolish the property. The preservationists, backed by the Historic Preservation Review Board, consistently won every contest. 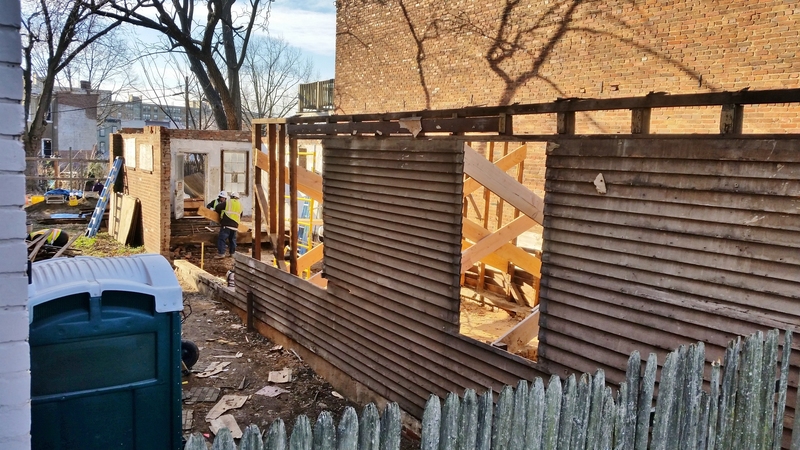 Late December finally saw the deconstruction of the historic Shotgun House. 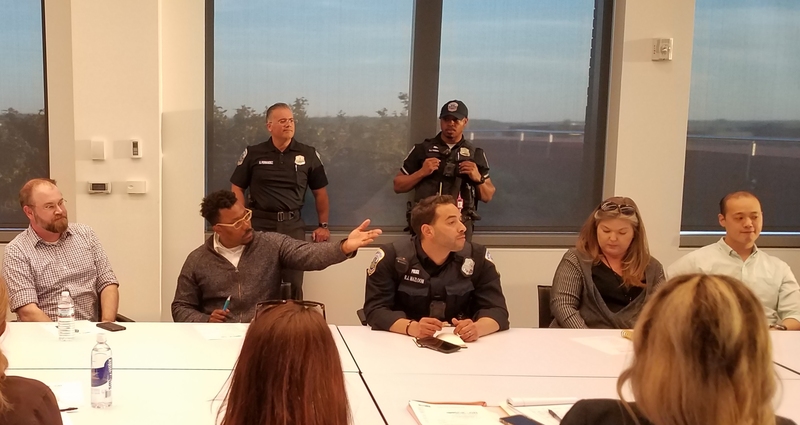 The Historic Preservation Review Board signed off on the redevelopment project last August, as part of a package to develop that the property as well as property in the 1200 block of Pennsylvania Avenue, SE, currently occupied by Frager’s Garden Center. 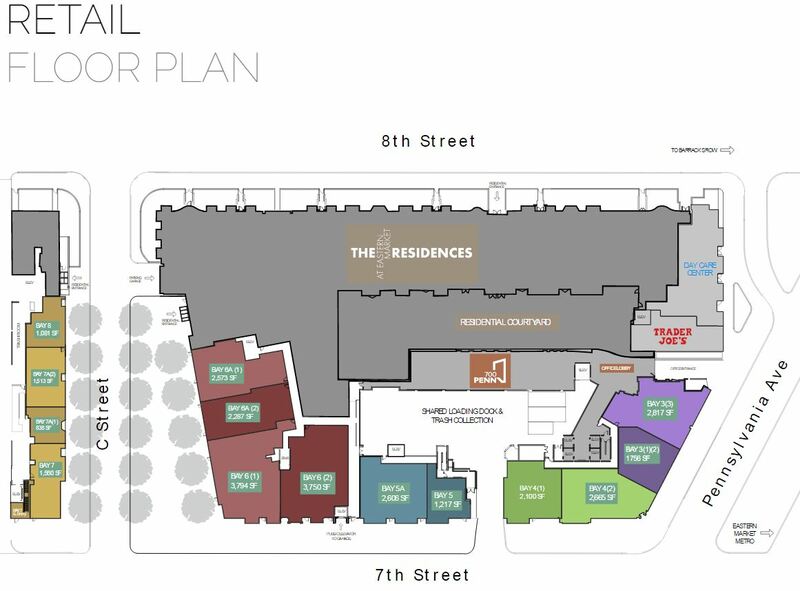 SGA Architects purchased the properties from Quillian and plans to build 120 residential units with a small retail component on the Frager’s Garden site. 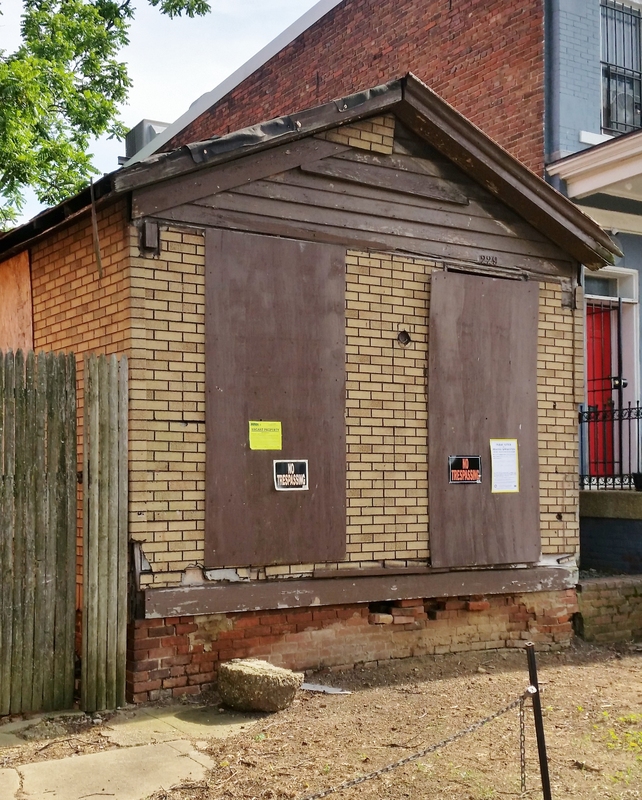 As part of the deal, the Shotgun House was to be preserved and incorporated into one of four new residential units at the E Street address. 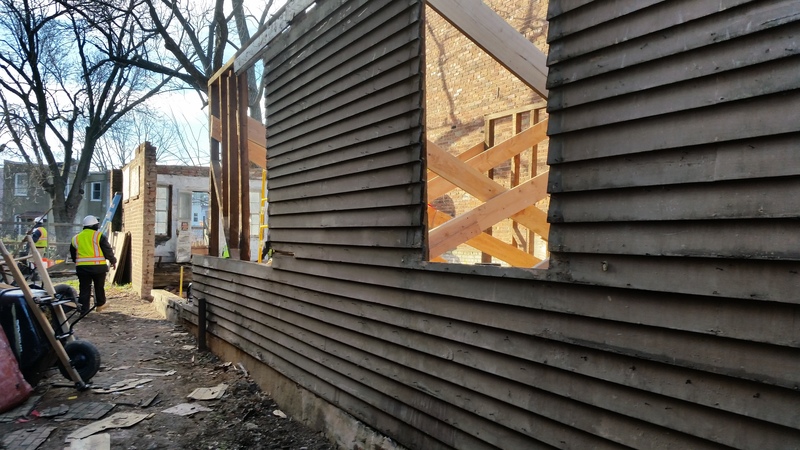 The permit provided for the deconstruction and relocation of the building, though it appears that not much of the original building material was salvageable. The most likely scenario is that a structure identical to the Shotgun House (using some of the original materials) will be constructed, thus preserving a facsimile – but not the original building – probably not what HPRB and the city’s preservationists had in mind when they agreed to the plan. 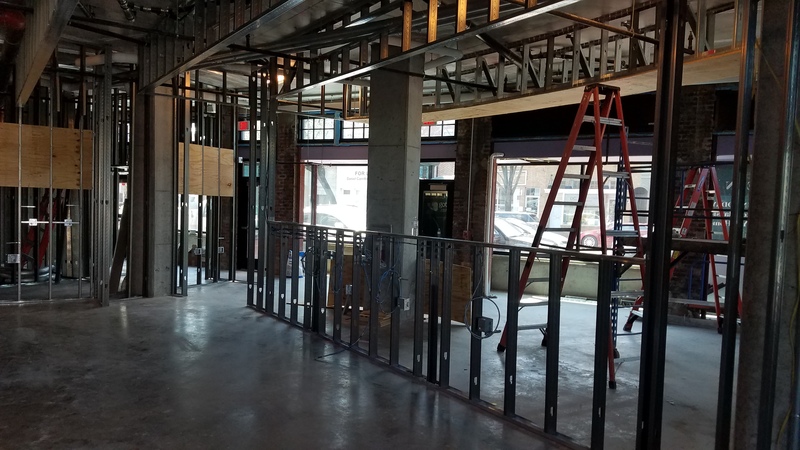 Capitol Hill Corner reached out early in the week to SGA Architects and to others in the community to try to clarify what the intent is, but has received no response. FWIW, you know the line “a dog biting a man isn’t a story, but a man biting a dog is?” It shouldn’t be a surprise that a building that has been neglected/disinvested in for decades, ends up not being salvageable. I’m sure SGA knew nothing was salvageable before they started deconstruction. Historic fetishization is not historic preservation. Requiring the re-use of original building materials is just recycling, as a way of paying off the egos of the historic preservation mob. It’s silly and a waste time and resources, particularly in the shadow of the Hine project. There is no point in building a facsimile. Design something new and modern to contrast with the existing rowhomes. The real story is that the historic preservation fanatics were so rigid for so many years that they willfully let the property they supposedly wanted to save deteriorate before everyone’s eyes. The new approved design, part of a much large condo project out back on Pa. ave. basically looks like a row house eating a shotgun. People who look at it in the future are not going to think about the area’s diverse indigenous architecture, but rather WTF is that? What is the historical significance of this little house? Anyone know who lived there, etc. ? Out of one side of their mouths, the Preservanistas say a property must be preserved because it is representative of a historical period or style, out of the other, they say (like in this cass) a property must be preserved because it is unusual or unique for a particular area. Unless of course the project gets big enough to provide significant revenue to the city, and then they just sell out for a symbolic representation that “incorporates” some reference to the original artifact which has been “deconstructed,” a politically-correct term for “demolished,” which would of course admit defeat. Si, this derelict piece of junk turns out to be impossible to salvage. Isnt that what Quillian has been saying all along? He says that it was junk the day he bought it and is junk today. argument. I do buy the “derelict firetrap imposed on neighbors by arrogant and obtuse preservationists for years despite the impossibility of saving” argument. The only loss to the neighborhood is a monument that leads the thinking person to wonder why they are still members of the Capitol Hill Restoration Society. I dropped out three years ago and my conscience is far lighter. What a relief to be free of an organization that actively opposes neighbors’ wishes on obvious issues like the shotgun house. Classic example of the “hysterical” society’s overreach. They should def preserve the look and feel of the original building. These folks that always need something new and modern are the reasons why we have some ugly buildings today. The classic look is what a majority of folks want not some contemporary trendy look that will be dated in 10-20 years that only a small number of people appreciate.